“Want to know where a great place to invest in real estate will be five or ten years from now? Look at where artists are living now.” The reason? It has been proven that artists—defined as self-employed visual artists, actors, musicians, writers, etc.—can stimulate local economies in a number of ways. This is the advice Business Week Magazine gave it’s readers in February of this year. This may come as a bit of a surprise to the casual reader, but there are numerous tangible economic benefits to promoting and investing in the local arts and culture scene. These reasons were apparently well hidden when our municipal politicians recently made the decision not to extend emergency funding to the Capitol Theatre. For the economic benefits that accumulate when a community values its artistic and “bohemian” constituency are precisely what Windsor needs in times such as these, with our worst economic and employment outlooks ahead of us. Generations of “living large” off the fruits of the industrial revolution has lead to an economic monoculture in this community. There are presently families in Windsor with four or five generations of employment history with the same company. As any biologist, or economist will tell you, a monoculture will not survive long as it is vulnerable to even the slightest ill-health and change in its environment. All it took for Windsor to experience this market downturn that is sending thousands of autoworkers to the unemployment line is a spike in oil costs. These are global factors which are out of the control of our municipal government, so it is imperative instead to focus on aspects of our local economy which we can have a positive influence on. This is why we must diversify our local economy if we are to avoid the dust bin we are headed towards. This idea is nothing new – Eddie Francis has made the quest for new information-based investment one of his mayoral mantras. What city council needs to realize is that their firm disregard for the Capitol’s future, and that of the arts community in general, will have negative reverberations throughout the city as a whole. If we are to achieve the strong and diverse economy that the Mayor states that he desires, then Windsor must build the kind of community that is attractive to the “creative class” - those individuals whose talent is to create meaningful new forms, such as the artists, architects, information technologists and entrepreneurs - purveyors of new ideas, high-tech industry and regional growth. It is the role of creative industries and occupations that are recognized as a driving factor in the development of cities such as New York, finding that networks of artistic and creative individuals are key conduits for investments that result in new ideas, commercial innovation and income growth. Artists and bohemians are direct producers of amenities that draw other creatives through what is called the “artistic dividend”: the arts and cultural activities that increase the vibrancy and diversity of metropolitan areas, influencing other industries and generating growth. Several studies document the role of amenities and lifestyle – in the form of entertainment, nightlife, culture, and so on – in attracting educated populations. In fact, an empirical study finds that high amenity cities have grown faster than low amenity cities. So when a community is stagnant in its investment in these amenity-increasing arts and cultural activities, it will be overlooked by the growth-inducing creative class. When a community actually divests in its established arts infrastructure, it is taunting its home-grown artistic community to find a welcoming environment elsewhere. This is precisely the message that our current city council is sending out – that our community doesn't value our cultural institutions. Entrepreneurs add to and thrive on creativity, the arts and entertainment. Entrepreneurs are often the most creative people you'll ever meet, and since birds of a feather flock together, they're often frequenting the most artful, entertainment-rich venues, events and movements in their city. They locate in communities with low housing prices and a high quality of life. They gravitate to dense urban cores with a high amenity quotient. They are patrons of local arts and cultural venues. And to top it off, they have the highest earning potential of most of the rest of the population. It's a positive feedback loop - build it, and they will come - to continue building it. Therefore, we not only need to attract the creative class to Windsor but we need to retain them once they're here. We also need to nurture our homegrown creatives and show them that we understand just how important it is that they grow and prosper here in this community by providing them with the support they need to thrive. Windsor has the low housing costs and access to markets and population that makes it ripe for attracting and “growing our own” creative class. These individuals will play a key role in Windsor's recovery from our economic downturn. 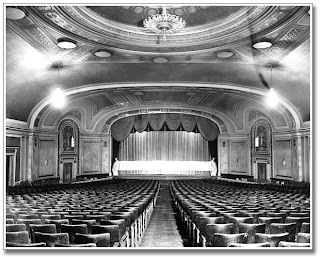 However, forcing a landmark like the Capitol Theatre to close its doors forever is not the way to lay the groundwork. Posted by Chris Holt at 9:04 a.m.
Like I said in your previous post Topher, what difference does it make when they can get big name entertainers in Detroit. None of those cities mentioned in all the studies, and all the success stories about Toronto, and London and Kitchener and even little Grand Bend, have to compete with the goliath we have next door. Whai I would like to know is why is the city investing so heavily in big events in Detroit? I think by now pretty much every Michigander knows Windsor is here. I see no need. So far all we've gotten for our investment is some playground equipment on the waterfront where little kids are falling into the rocks. July 24, 2007 at 10:59 p.m.